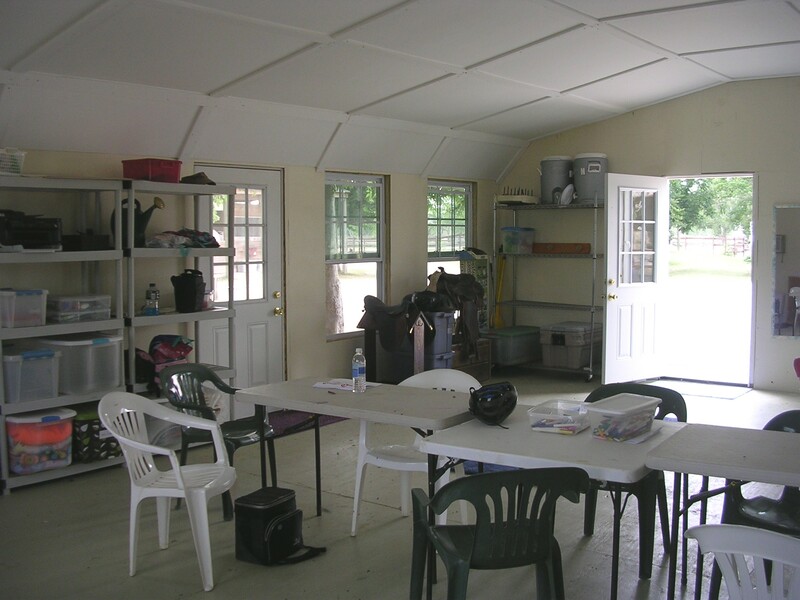 Horse and Pony Camp Program at All Heart Horse Farm! Our Camp Program is in its 15th year!! In addition to our popular summer weekly camps, we are very pleased to offer school break camps, winter holiday camps, Overnight camps, and educational 1-day Saturday camps. Everyone is welcome to attend our camps, including children with no previous riding experience. We strive for a six-to-one ratio of campers to counselors, which allows us to personalize the camp adventure to individual skill levels. Our five-day summer camps are designed for all ages, and we focus more on beginning-level horsemanship. We're very excited about our Overnight Camp program! Overnight camp includes riding each day, late-night barn checks by flashlight, and toasting smores over campfire! Sign up today! Learn about living in a herd of horses! Campers find out about responsibilities of horse ownership, including careers associated with horses such as veterinarian and horse shoer. Campers gain hands-on experience with horses by participating in the day-to-day activities of a working horse farm. Campers assist with grooming, bathing, feeding, and cleaning horses. Campers learn true examples of famous horses in history, as well as hearing some of the rich tradition of tall tales and legends. Camps also include many different equine arts, crafts, songs, and games. Each part of the saddle and bridle plays a key role in the comfort and safety of horse and rider. Campers help with saddling and bridling a horse, and learn about proper preparations for horseback riding. Campers ride on horseback every day. 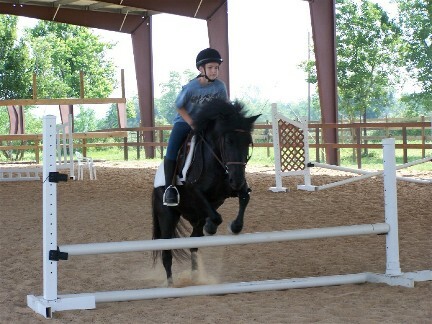 New riders develop their skills with mounting, dismounting, starting, walking, turning, and stopping. Advanced riders are challenged with new riding activities and skill tests. Physical fitness and riding horseback go hand-in-hand. Every day riders will improve their riding by engaging in physical fitness exercises which improve balance, coordination, and strength. On Friday afternoon from 2:00pm to 3pm, the five-day and Overnight camps conclude with an Open House, where campers show parents, grandparents, and friends around All Heart Horse Farm introducing them to their favorite horse buddies. Parents are encouraged to attend the open house -- and bring your cameras! 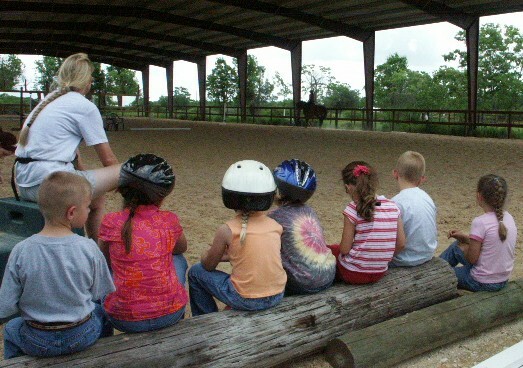 Camp activities are held in our barns, Covered Arena, and Equine Education Center! Cost: $350 for a five-day camp. Time: Monday-Friday, 10am to 3pm daily -- early drop-off and late pick-up are available each day. Food & Drink: Please bring a bag lunch each day. Ice water stations are provided. Equipment: Campers need to bring a safety helmet (horseback riding helmet or bicycle helmet), which must be worn whenever mounted. Campers should wear stretchy pants, sweat pants, or riding breeches ... no tight pants please. Sturdy shoes are important, and many campers need a change of clothes. Cost: $595 for 4 nights/5 days (meals and snacks included). Time: 10am Monday to 3pm Friday -- early drop-off on Monday and late pick-up on Friday are available. What to bring: All meals and snacks are included; campers should bring a sleeping bag and pillow, PJ's, and clothes for 5 days. Children with medicine should contact Heidi to organize medicine storage and administration. Full Day: $80 for Full Day; Saturday, 9am to 4pm. Since early dropoff and late pickup require us to schedule additional staff, please be sure to reserve a place in our before-care and/or after-care programs at the time that you register for camp. Before-care and after-care costs $4 per hour or part-hour per child. Starting at 8am and ending at 5pm. Camp Size: Camps are limited in size and are filled on a first-come, first-served basis, so please register now to reserve your place! 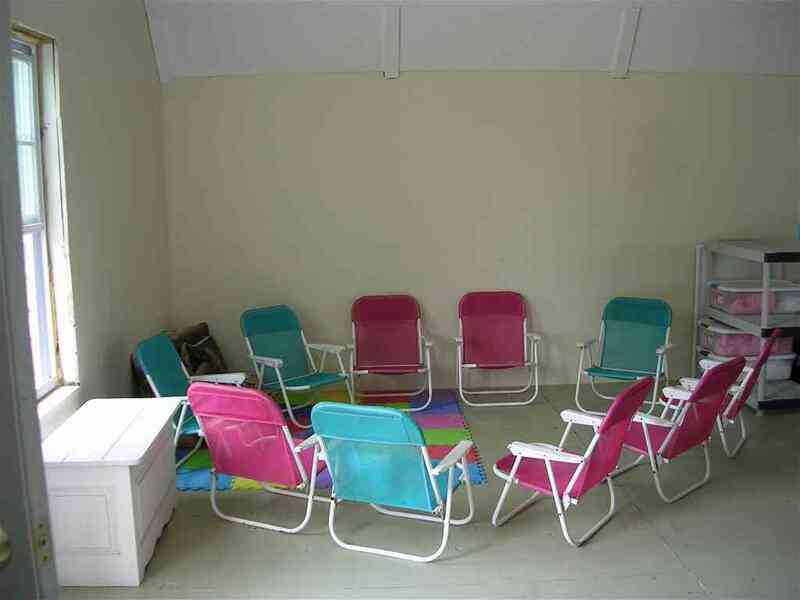 We strive for a 6-to-1 ratio of campers to staff. Directions to All Heart Horse Farm: All Heart Horse Farm is a twenty-five-acre facility conveniently located on Highway 6 east of Highway 288, twenty minutes south of the Houston Medical Center. Please see our Directions Page for detailed directions. Return to the Camp Home Page. Return to the All Heart Horse Farm Home Page. Copyright © 2005-16 All Heart Horse Farm. All Rights Reserved. Created: April 2005; Latest: February 2016.